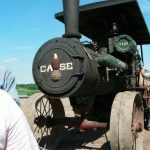 In 2019, we will having our Case expo featuring both gas and steam engines! We're busy now planning this great event, be sure to check back in the coming months for updates! Please contact us if you have an exhibit you'd like to display. From music to parades, steam engines, crafts, construction area and dozens of other exhibits, you simply cannot take in all we have to offer in a single day! From the time our gates open in the morning, until the last fiddle plays in one of many music venues on the grounds, there is always an activity or exhibit underway. It doesn't matter your interest in history, we have something for everyone! Click the button below for more details on everything Rollag has to offer! 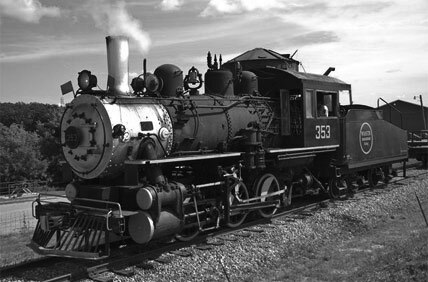 The 353 is an icon of the Rollag show. Serving out its working years as a switching engine, the Alco locomotive now resides at Rollag. It provides rides around our showgrounds for our visitors and is a beloved by kids of all ages, 1 to 101. 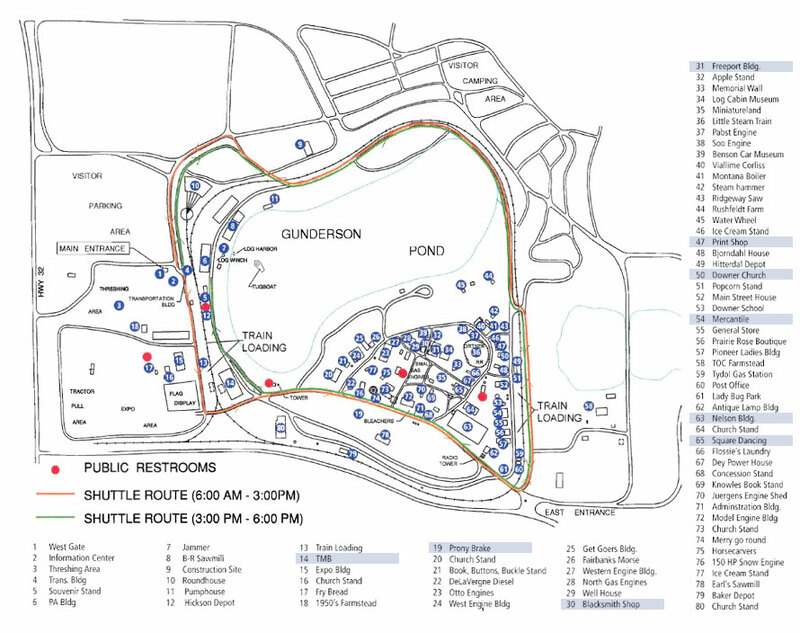 While riding the rails at Rollag, the 353 will take you around our course on a roughly 2 mile loop, and also provides scenic transportation around the back-side of Gunderson Pond if you are looking to traverse the show grounds and get a different view. Please Note, Our ‘Media Day’ is now held on the Friday of the show (opening day). Click for more info. Every Labor Day weekend since 1954, generations of Threshermen & women get together to relive the tradition of the good ole’ days and bring the past to life for the enjoyment of young and old alike. Stop by Labor Day weekend and check out the show. We’ll see you at the Hill, ‘Where the Sun Always Shines in Your Heart!’. Come join us for an exciting and fun-filled weekend for the whole family! Looking for Registration and Special Event Membership forms? Click here! Countdown to our 2019 Show! Join us August 30th – September 2nd. We will be featuring additional training on our showgrounds in July 2019! Space is limited, so click below to learn more. It all started in 1940 with a little idea sparked from the soul of some local Threshermen over supper. The Nelson boys fired up the old Garr-Scott engine to thresh with steam again for old time sake with family & friends. 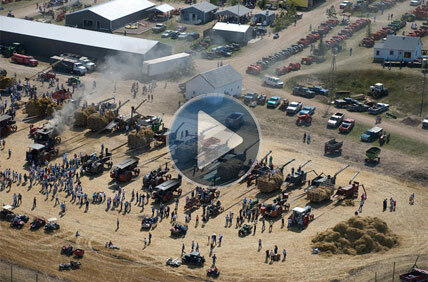 The event continued once a year until 1954, when Western Minnesota Steam Thresher’s Reunion met formally for the first time and invited the public. Today the show has grown to include hundreds of demonstrations and exhibits spread over 210 beautiful acres. The show attracts thousands of spectators and volunteers every Labor Day weekend. WMSTR is a 501c(3) organization. There is no selling of products or merchandise on the show grounds from outside vendors. All receipts are used for the growth and development of the show. All of our workers are volunteers and receive no compensation for working at WMSTR. Pets are not allowed on the show grounds, with the exception of service dogs. We will be featuring the J.I. Case family of Tractors in 2019. 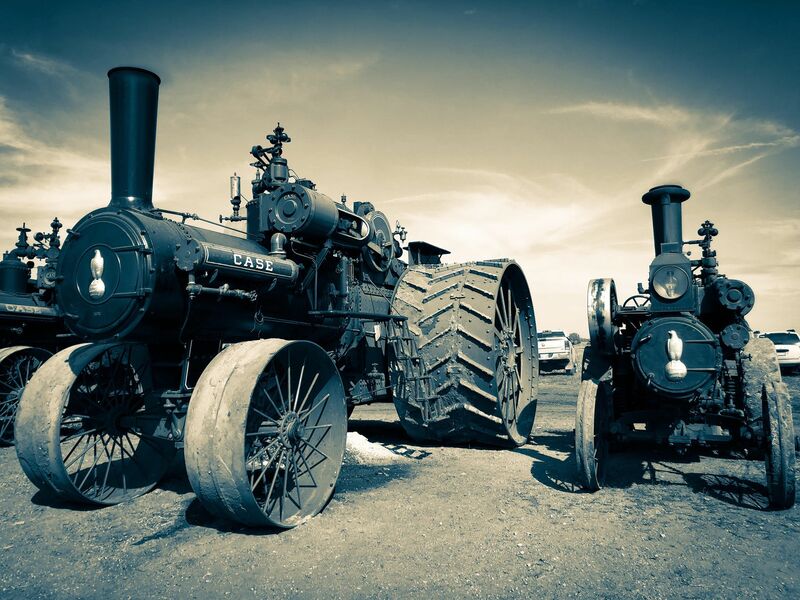 Including both gas and steam engines, it’s sure to be a great show. Please check back in 2019 for more information. Join us in 2020 for our Otto Engine Expo. Please check back as we gather more details about this event. Please Check Back for More Details as we gather information about our exciting Hart-Parr & Oliver Feature in 2021!